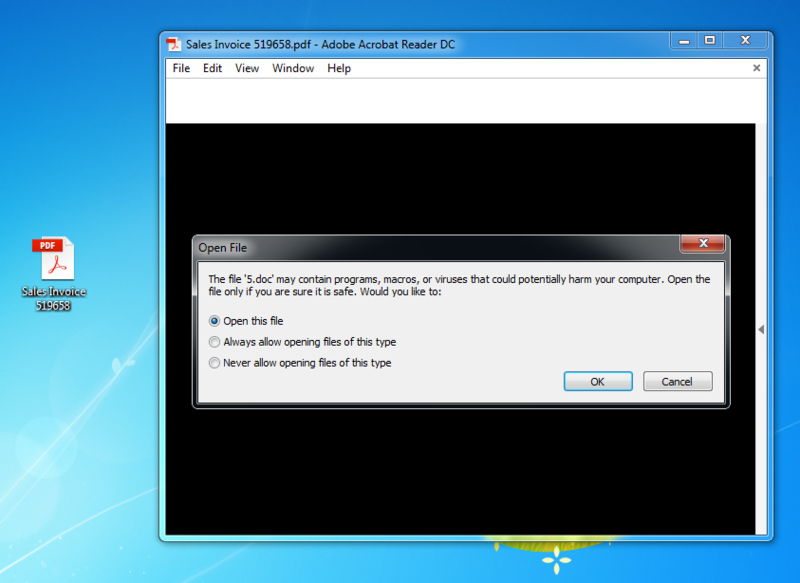 When you open this PDF file with Adobe Reader, you get a warning and the embedded file is only opened when you approve it. You can analyze such PDFs without using Adobe Reader or Microsoft Word, but with my tools pdfid, pdf-parser and oledump. If you want to know in detail how to do this, I have a video.